I have often believed that the true meaning of a women's life can only be served upon becoming a mother. Thanks to the grace of the almighty I was fortunate to give a sweet, cute and everyone's angel; Saanvi . Never did I know that life could be as blissful as the time spent with Saanvi meant to me. 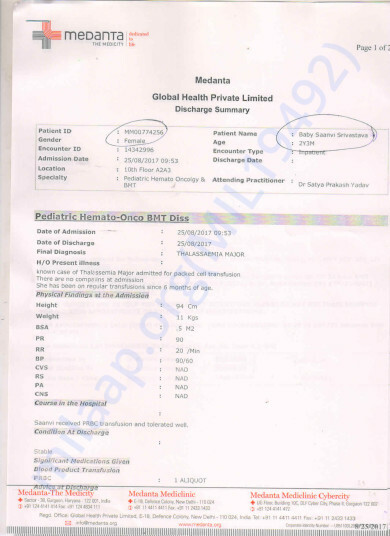 Unfortunately our happiness was short lived when we were informed of Saanvi being a Thalassaemia major and what hurt even more, the little girl was all of 3 months(Discharge summary attached). Ever since being diagnosed with Thalassaemia my daughter is surviving on blood transfusions. The interval for a blood transfusion is generally 21 days and quite frequently we are advised to do a blood transfusion in 2 weeks(Medical bills attached). My husband works in a private firm in the procurement division and struggles to make ends meet while also taking care of the little girl's health. 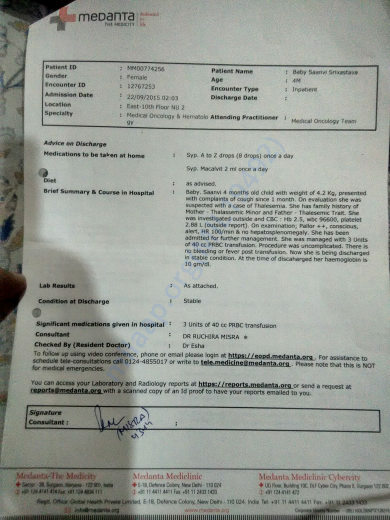 Till date, we have spent around 1.5 lakh rupees for her treatment. 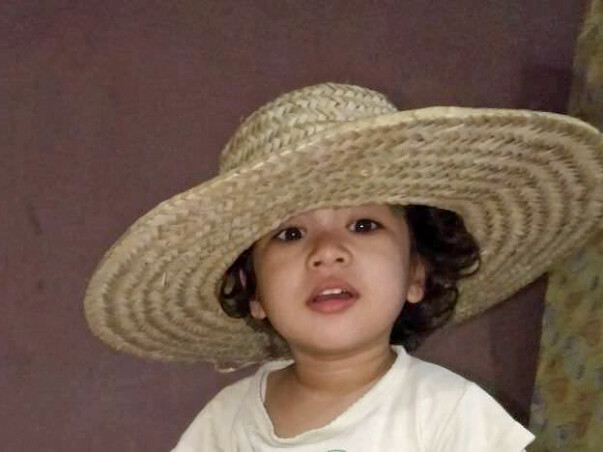 One of the major downsides of continuous blood transfusion cannot be undermined and the doctors have advised that a stem cell transplantation be the best solution to Saanvi being able to live a normal life. The estimated cost of the treatment is about 35 lakh Rupees. While the love for our child in unending our financial capability is meagre and not in a place to support an expensive treatment like stem cell transplantation. 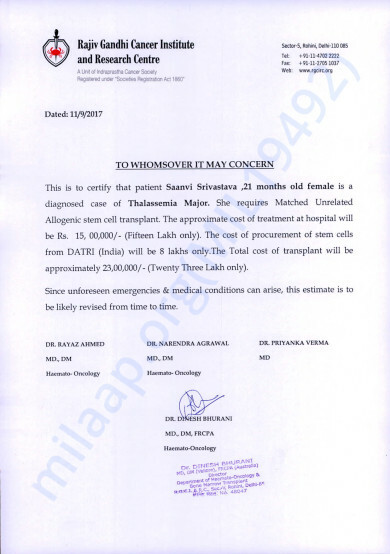 With the almighty in mind and deep respect to humanity, request you to kindly be a helping hand in ensuring that Saanvi gets a stem cell transplantation. Thank you for the wonderful support that you have shown towards our family in this hour of need. Your support and blessings have rekindled our hope and now we have hopes that our kid will brave the treatment and come out victorious. We were fortunate to get a donor who is a 9/10 match for Saanvi, who is willing to donate stem cells as well. However medical experts have advised that we could wait for a couple of months in searching for a 10/10 match. For the next two months we will strive to get a 10/10 match for Saanvi and will need funds to ensure the same. We are looking for a donor both internally, within the family, and globally as well. In the scenario where we do not get a 10/10 match, we shall go ahead with the transplant with the 9/10 match. 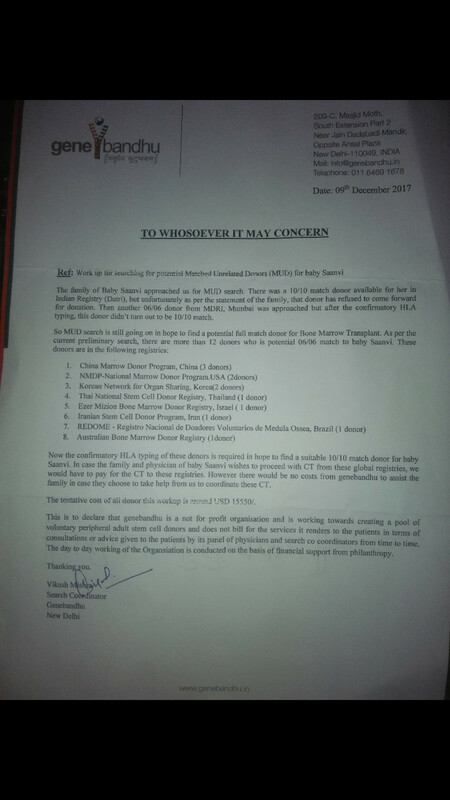 To meet her treatment expenses and the expenses of getting our family members tested to see if they are a potential match, I will be withdrawing a sum of ₹11 lakhs from this fundraising campaign on Milaap to my account. I would like to thank you all once again and please do pray for her health and speedy recovery. Do share this campaign further with your friends and family to help us in raising funds towards her treatment. Will keep you posted.